Want to incorporate more fruits in your child’s diet? 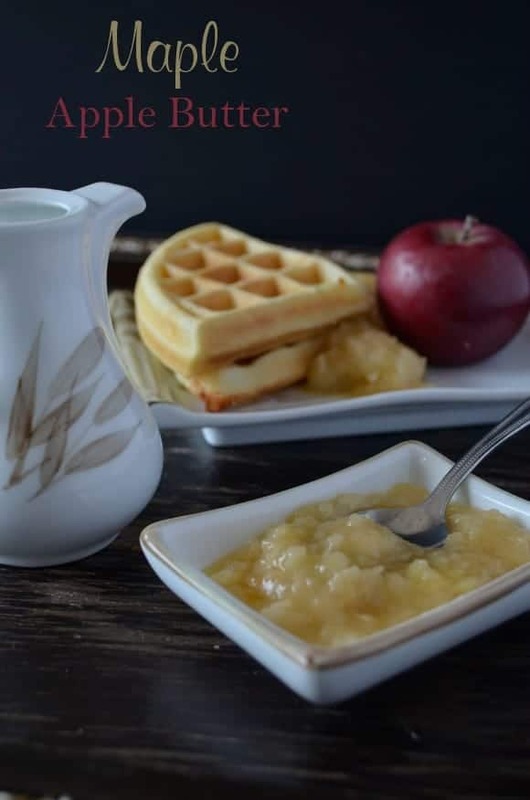 How about trying this maple apple butter recipe: it is an easy fruit recipe for kids. They can even help you make it and of course enjoy it. Remember the waffle apple butter snack recipe I shared a while ago? I used a store bought apple butter. I loved it and wondered if I could make one on my own. After all, I had a basket full of apples that were about to rot. My daughter and I went apple picking to two different places in the same week. So we had lots of apples on hand. 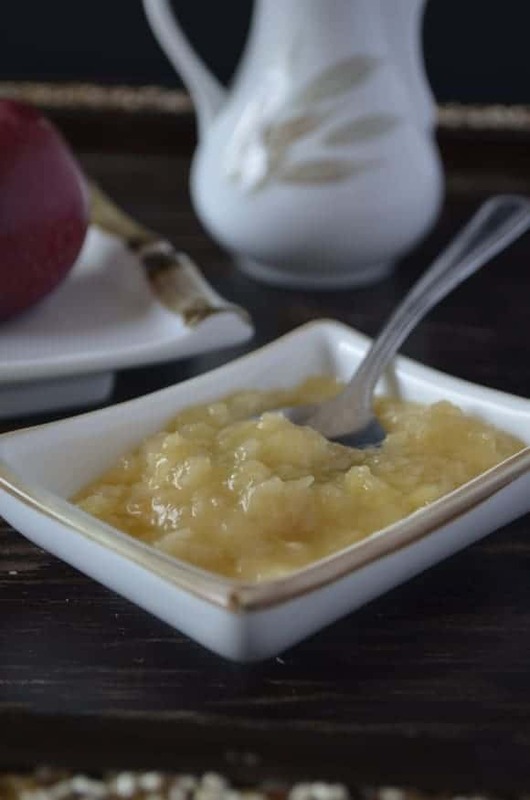 What I love about this maple apple butter recipe is that it is easy to make, and you can store it for 3 weeks in the fridge. It’s also a great family gift idea during the holidays. A gift for the hostess or your neighbor. Nothing like homemade treats to please loved ones, right? Related posts: Upside Down Apple Cake Recipe: A Great After-School Snack! I found this apple butter recipe in a French cookbook: À l’Érable. I did not find an English version. If I do find it, I will let you know, as I love their maple recipes: easy and simple to make! 5 apples. I used McIntosh ones. The book recommended Cortland. 1/2 cup of margarine. The book suggested butter, but I prefer margarine as it is lighter. You can eat it with your favorite waffle recipe, crepe recipe or just with bread. I find it is a great snack recipe for kids when they get back to school. It gives them enough energy to wait until dinner and to do their homework. What do you think of this easy fruit recipe for kids? Have you ever made maple apple butter? 1/2 cup of margarine. The book suggested butter but I prefer margarine as it is lighter. Give Your Patio the Royal Treatment with Vinyl Doors! Justin Bieber: What to Do When Your Child’s Role Models Go Bad! I have had apple butter before and I live in New Hampshire so there is homemade maple syrup everywher but I never thought to add it to apple butter. My daughter and I will be trying this out for thanksgiving dinner. Oh that sounds fantastic. I have to make it for my kids. That sounds delicious! I bet it would be great on an English muffin! I love apple butter! I’ve never had it with maple in it, that sounds intriguing. This sounds delish! I love apple butter, but have never tried “maple” apple butter. I can’t wait to try it! I am sure this would be delicious with a mix of different apples as well. Sounds yummy! You should really send some of that my way….sounds delicious!